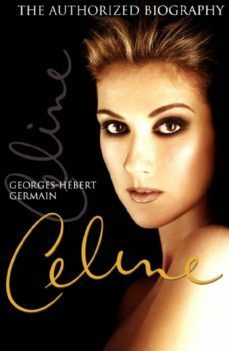 Simply entitled Céline, this is the long-awaited, authorized biography of Céline Dion, the rags-to-riches story of a woman who has become the leading recording artist in the world.First published in French in Quebec in December 1997, Céline has sold in excess of 120,000 copies in Quebec alone. A French-language edition will be released in France this fall, to coincide with the release of a new French album.Céline Dion is one of the worlds best-loved and best-selling recording artists; her singles and albums have topped the international charts for several years. Her awards include numerous Junos, Grammys, and World Music Awards. Her most recent album, Lets Talk About Love, has already sold over 25 million units world-wide since its release in November 1997. The song "My Heart Will Go On" from the box-office record-setting film Titanic is now the most frequently heard single in the history of American radio.Céline is the story of Céline Dion, her family, and her husband; it is the story of a child, with thirteen siblings, from a lower middle-class family, who grew up to achieve the status of pop icon and global diva. Along the way, she garnered the respect of some of the top people in the music industry, such as David Foster, Barbra Streisand, Luciano Pavarotti, and Sir George Martin.Germain gives the reader the full story of how René Angélil became Célines manager and, eventually, her husband. He also tells how René brought Céline to the status of pop icon in Quebec and then worked to help her achieve the same status on a global level.The competitive world of the contemporary music industry is revealed how the deals are put together, how the marketing machinery is motivated, and how songs come to be chosen and produced. Making it to the top demands talent certainly, but also overriding ambition, good luck, and marketing savvy.Céline is also a close-up of American popular culture, and the impact it has around the world. The book shows how a singing sensation becomes the guest of prime ministers, presidents, and sultans.